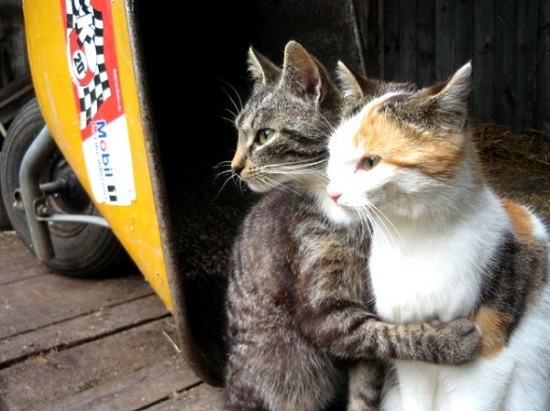 Two cats hugging. Image source. 1. Why stay in college? Why go to night school? (posted May 1) "Rapture-Christianity taught us, from a young age, that we had no future. That’s a horrible thing to teach a child." 2. for Thanos so loved the world (posted May 22) [content note: spoilers for "Avengers: Infinity War"] "He’s even more merciful than the American evangelical god if you think about it—he’s going to save half of everyone in the universe." 3. Found myself singing "Because Of You" to the Jesus I used to worship. I have so many feelings about this. I don't think I can ever have a "personal relationship" with a god ever again. Because of what He did. 4. Related: I still can't get over how much I see the Incarnation in this scene from "Spiderman: Homecoming," and how that's the Jesus I love. Peter thinks Tony is controlling the Ironman suit remotely- somewhere far away, just sending rules and condemnation, no skin in the game. "If you even cared you'd actually be here" and then the Ironman suit opens and there he is. 5. And if you haven't taken my 2018 Reader Survey yet, go over and do it~ Survey closes on June 9.